Cranford, Ruby Lucille (Burlingston) (21 Aug 1923 - 28 Jun 2016) . Daughter of Scroggins, Alva Eva (Cranford) (1903 - 1990) [35904:K] [FaG:7310678]. Daughter of Cranford, William Curtis (1901 - 1959)  [FaG:7310674]. Widow of Burlingston, George D. (26 Nov 1916 - 29 Apr 1993)  [FaG:40102583]. Cupp, Chester Lloyd (4 May 1927 - 1 Jun 2016) [32760:N]. Wife of Scroggin, Billie Dean (Cupp) (9 Feb 1927 - ) [13878:N]. Ladley, Michael Roy 'Beau' (29 Apr 1974 - 23 Jun 2016) . Son of Scroggins, Marsha Ellen (Ladley) (Sullivan) (26 Mar 1952 - ) . Son of Ladley, Thomas Michael ( - ) . Quigley, Russell 'Rusty' E. (25 Dec 1960 - 27 Jun 2016) . Scroggins, Carolyn Jane (14 Aug 1933 - 3 Jun 2016) . Wife of Scroggins, Douglas Willliam (19 Jul 1949 - 31 Mar 2003)  [FS:]. Scroggins, Catherine Elaine (Summar) (26 Nov 1942 - 20 Jun 2016) . Daughter of Scroggins, William E. ( - )  [FS:]. 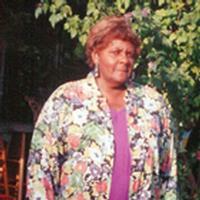 Daughter of Scroggins, Alice E. Jones ( - )  [FS:]. Widow of Summar, John Patterson ( - 7 May 2007)  [FS:]. Scroggins, Dewey Nelson (20 Feb 1943 - 22 Jun 2016) . Son of Scroggins, Dewey (21 Nov 1920 - 9 Nov 1990) . Son of Scroggins, Sarah F. (3 Sep 1925 - 19 Jul 2000) . Husband of Scroggins, Rebecca Mary 'Penneye' Irwin (18 Nov 1944 - ) . Scroggins, Donna Michele Banks (29 Sep 1965 - 5 Jun 2015) [21147:M]. Wife of Scroggins, David Larue (10 Apr 1959 - ) [21102:M]. Scroggins, Jeremy Reese (20 Oct 1987 - 27 Jun 2016) . Son of Scroggins, Greg H. (1 Aug 1957 - ) . Son of Scroggins, Alice A. Horton>/i> (22 Feb 1956 - ) . Scroggins, Juanita Borden (24 Jun 1930 - 23 Jun 2016) . Widow of Scroggins, George Maston 'Mack' (28 Oct 1925 - 4 Mar 2011) . Scroggins, June A. Nickell (Murphree) (Lee) (8 Jan 1934 - 19 Jun 2016) . Widow of Scroggins, Philip 'Steve' ( - ) [5251:2] [FS:]. Scroggins, Linda (Beck) (9 Feb 1953 - 2 Jun 2016) . Daughter of Scroggins, Joe H. ( - ) . Daughter of Scroggins, Mary Louise Timbrook ( - ) . Scroggins, Nicholaus (ca. 2002 - 21 Jun 2016) [45826:&]. Son of Scroggins, Nicholaus I ( - ) [54827:&]. Son of Walker, Tennille (Bright) ( - ) [54828:&]. Scroggins, Rachel Dawn Smith (20 Sep 1971 - 17 Jun 2016) [38136:K]. Wife of Scroggins, Mark Allen ( - ) [37233:K]. Scroggins, Sally Mae (Scott) (Harris) (6 Jun 1932 - 16 Jun 2016) . Daughter of Scroggins, Willie ( - )  [FS:]. Daughter of Scroggins, Mollie Hendrix ( - )  [FS:]. Scroggins, Shawn M. (16 Jun 1981 - 29 Jun 2016) [54104:Q]. Son of Scroggins, Vernell Paul, Jr. ( - ) [30080:Q]. Son of Scroggins, Cynthia Gerritson (Langlois) ( - ) . Stepson of Scroggins, Mary Myers ( - ) [30081:Q]. Scroggins, Vera Lee Speaks (26 Nov 1937 - 1 Jun 2016) [8889:3]. Wife of Scroggins, William Green (16 Nov 1934 - ) [15653:3] [FS:]. Seman, Philip Howard (23 Mar 1961 - 6 Jun 2016) [12338:L]. Son of Scroggins, Jean Louise (Seman) (24 Jul 1928 - 9 Apr 2005) [12175:L] [FS:LV93-ZL7]. Son of Seman, Marvin L. (4 Mar 1931 - 1 Jun 1997) [12176:L] [FS:LV93-ZPF]. Husband of Seman, Tracy Ann Severson ( - ) [43779:L] [FS:]. Trouette, Paul John, Jr. (31 Jan 1934 - 26 Jun 2016) [46259:C]. Husband of Scroggins, Connie Ray (Trouette) (30 Dec 1938 - ) [46258:C]. Scroggin, Roy E. (23 Sep 1936 - 28 Jul 2016) . Son of Scroggins, Janice ( - )  . Son of Quigley, Jack ( - )  [FS:]. Son of Scroggins, Alice A. Horton (22 Feb 1956 - ) . Scroggins, Nicholaus (ca. 2002 - 21 Jun 2016) . Scroggins, Nicholaus (12 Aug 2001 - 21 Jun 2016) [54826:&]. Widow of Scroggins, Philip 'Steve' (27 Ocr 1950 - ) [5251:2] [FS:]. Mueller, Dale Robert (8 Aug 1977 - 16 Jun 2016) [54804:D]. Son of Scroggin, Constance L. (Mueller) (Hull) (23 Jun 1953 - ) [54716:D]. Grandson of Scroggin, Melva Partin (27 Jun 1930 - ) [54713:D]. Wall, Morris Thomas (20 Sep 1923 - 12 Jun 2016) . Son of Scroggins, Lucy (Wall) ( - )  [FS:]. Scroggins, Beverly Ellen (Worden) (7 Apr 1936 - 4 Jun 2016) . Scroggins, Beverly Ellen (Worden) (7 Apr 1936 - 4 Jun 2016) [14615:3]. Daughter of Scroggins, Elmer Alvin (1 Sep 1906 - 22 May 1981) [14571:3]. Daughter of Scroggins, Ellen Lamarious Cunningham ( - ) [14581:3]]. Wife of Worden, Stephen ( - ) . Scroggins, Vera Lee Speaks (26 Nov 1937 - 1 Jun 2016) .